A trusted industry leader in building walnut and almond processing equipment. With over 95% of our equipment manufactured in Hughson, California, we have built a strong reputation of satisfied customers one installation at a time. Contact Grossi Fabrication to learn how the right processing system can transform your business. Our unrelenting focus on improving efficiency has led to breakthrough innovations in hulling, drying, and shelling. We focus on designing and building integrated processing systems that maximize efficiency and reduce processing costs. While we provide replacement and retrofit equipment, our customers realize maximum benefits when we create a custom processing solution from the ground up. We start with the blueprints of your facility to create the perfect system for your unique needs; maximizing efficiency while minimizing installation time and on-site fabrication. We don’t have any sales people. When you purchase a system from Grossi Fabrication, you deal directly with Larry Grossi throughout the entire process. Larry’s name and reputation is on each piece of equipment we build and sell, and his standards are very high. 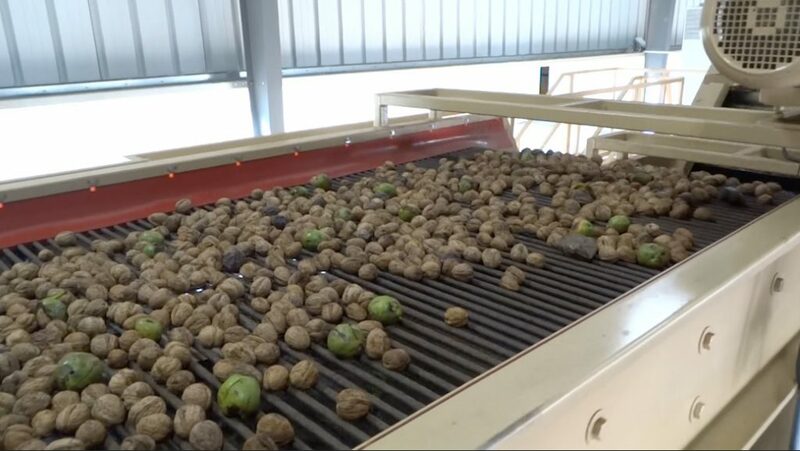 Grossi Fabrication’s hulling systems are designed for high capacity pre-cleaning and hulling and our drying systems are designed to dry walnuts with the most efficiency without over drying and set up with complete automation. Grossi Fabrication’s walnut shelling processing systems are designed to deliver highly efficient pre-sizing which minimizes scuffing and breakage while maximizing the number of walnut halves. Grossi Fabrication manufactures almond processing systems designed to provide high processing capacity. Our systems are engineered and built to keep product quality and food safety in mind while minimizing your processing costs. Grossi Fabrication is an industry leader in designing and building highly efficient processing systems for the almond and walnut industries.